Biodiversity lays the foundation for human survival and development by providing non-material and material benefits benefits. While material benefits of biodiversity such as clean air and food have been acknowledged by the international community since more than two decades at 1992 Rio Earth Summit, non-material benefits have not received enough attention yet. The Biodiversity and Community Health (BaCH) Initiative has been advocating for the interconnections between biodiversity, quality of life and wellbeing. BaCH partners such as the United Nations University – Institute for the Advanced Study of Sustainability jointly with ETC-COMPAS (Network) and the Equator Initiative recently published a brilliant book on the concept of human well-being as it relates to international rural development and conservation policy and practice. The focus of international discussions around sustainable management of biological resources has been shifting on immaterial values of biodiversity not only for rural local and indigenous communities but also for urban communities. International forums such as the 12th meeting of the Conference of the Parties (COP 12) to the Convention on Biological Diversity (CBD) in Korea or the IUCN World Parks Congress in Sidney have started to emphasise the inter-connections of biodiversity, human health and wellbeing at large. A recent study commissioned by the Deutsche Gesellschaft für Internationale Zusammenarbeit (GIZ) GmbH on behalf of the German Ministry of Economic Cooperation and Development (BMZ) explores the connections between biodiversity, human wellbeing and quality of life assessing their role in key conventions such as the UN Convention on Biological Diversity (CBD) and ongoing policy forums such as the Intergovernmental Science-Policy Platform on Biodiversity and Ecosystem Services (IPBES). The study further reflects the role of biodiversity and wellbeing in dominant narratives and advocates for a more integrated-approach in development cooperation policies and programs. The IUCN World Parks Congress 2014 – a key global forum on protected areas – is coming to an end. Since 12 November 2014 over 5,000 participants from governments, international organisations, civil society organisations, community based organisations, the private sector and academia have gathered to join the Congress in Sydney. In light of this year’s theme “Parks, people, planet: inspiring solutions” key stakeholders working on issues related to protected areas have been taking stock of current developments, identifying challenges and discussing innovative approaches for conservation in light of the implementation of the Sustainable Development Goals (SDGs) and a corresponding Post-2015 Development Agenda. The Biodiversity and Community Health (BaCH) Initiative partners such as UNU-IAS, the Secretariat of the Convention on Biological Diversity (SCBD) engaged in a number of sessions offering innovative approaches and pioneering ideas on ways to connect the both global priorities biodiversity and human health. Join today’s world leader’s dialogue “A Balancing Act: how the global appetite for mineral resources defines the fate of protected areas” on-line here.To follow tomorrow’s closing session, follow the link here. Read a more detailed summary of the WPC 2014 here. The IUCN World Parks Congress 2014 is taking currently taking place in Sidney bringing together around 4000 delegates from over 160 countries. This year’s congress is themed Parks, People, Planet: Inspiring Solutions and will showcase the essential role and diverse benefits of protected areas for people and communities. Hence, partners of the Biodiversity and Community Health (BaCH) Initiative such as the Secretariat of the Convention on Biological Diversity (CBD), the Equator Initiative and the United Nations University Institute for the Advanced Study for Sustainability (UNU-IAS) are actively engaged to highlight the relevance of parks for health and human well-being at large. The State of Knowledge Review on the Interlinkages between Biodiversity and Human Health is an upcoming flagship publication covering all relevant issues related to the connections between biodiversity and community health. It is based on a collaborative effort of the BaCH Initiative partner the Secretariat of the Convention on Biological Diversity (SCBD) and the World Health Organization (WHO) and builds upon the expertise and experience of over 100 leading scientists, medical practitioners, and indigenous and local community representatives. Each chapter and its key messages have undergone separate global peer review processes open to 193 Parties to the Convention on Biological Diversity (CBD), as well as relevant organizations and indigenous and local community members. The book will be launched soon at the 14th World Congress on Public Health in Kolkatta, India in February 2015. Join the event today to learn about the interlinkages between biodiversity and human health and parks. The event will inform and inspire the environment, protected areas and health sectors to synergise efforts and to jointly embark on a new global agenda for healthy ecosystems and healthy people in support of the post-2015 sustainable development agenda. Use the opportunity to engage in discussions with some of the lead authors and contributors of these publications and to be part of the final consultation of the book. This event is hosted by Parks Victoria, the Secretariat of the Convention on Biological Diversity (SCBD) and the World Health Organization (WHO), with support from Deakin University, US National Park Service and Harvard School of Public Health’s Centre for Health, and the Global Environment. Details: Stream 3 – Improving Health and Well-Being; Hall 3B1, Friday, November 14th, 6:00 pm – 8:00 pm. This event is hosted by the United Nations University Institute for the Advanced Study for Sustainability (UNU-IAS) which is anchoring the Biodiversity and Community Health (BaCH) Initiative. This interactive session highlights the relevance of traditional medicine in the context of parks and protected areas as well as the benefits of fostering diverse partnerships to help overcome challenges in promoting such practices. The session is building on the expertise and experience of the BaCH Initiative’s partners including, the SCBD, Bioversity International, UNU-IAS, the Equator Initiative, TRAFFIC, UNU-IIGH as well as other leading stakeholders such as the National Environment Service, the ABS Capacity Development Initiative and the Sustainable Livelihoods Foundation South Africa. Join the event and engage with some of the leading stakeholders in this field. This event is hosted by UNU-IAS and supported by other BaCH Initiative partners. Details: Stream 3 – Improving Health and Well-Being; Hordern Room, Saturday, November 15th, 8:30 am – 10:00 am. This session will not only highlight the connections between human and environmental health but further showcase innovative initiatives and best practices protecting ecosystems and producing positive impact on public health. Building on a diverse set of expertise the event highlights further trends in global health and environmental policies and potential links between them. Join the interactive session and engage with key speakers from two BaCH Initiative partners the SCBD and UNU-IAS as well as other leading institutions such as Parks Victoria, the Golden Gate National Recreation Area National Parks Service, the Scottish Natural Heritage, the Natural Heritage Services Finland, the Consortium of Universities for Global Health and VicHealth. This event is hosted by the Consortium of Universities for Global Health. Details: Stream 3 – Improving Health and Well-Being; Session 11, Hall 3B1 Home Room, Saturday, November 15th, 3:30 pm – 5:00 pm. This interactive session brings together leading stakeholders from multiple sectors including UNU-IAS to discuss the relevance of the Nagoya Protocol on ABS for Indigenous Peoples and Local Communities (IPLCs) and local conservation. Through three expert inputs the event aims to shed light into the provisions of the Nagoya Protocol which are relevant for the IPLCs, ways on how ABS can be used as a tool to create links between community based business and biodiversity conservation as well as identify avenues for the multi-beneficial implementation of ABS at the local level. Join the event and engage in a multi-disciplinary panel discussion with some of the leading stakeholders. Details: WIN and Pacific Community Dialogue Pavilion, Monday, November 17th, 1:30 pm – 3:00 pm. The Biodiversity and Community Health (BaCH) Initiative continuously raises awareness for the complex interlinkages between biodiversity, ecosystem services and health. 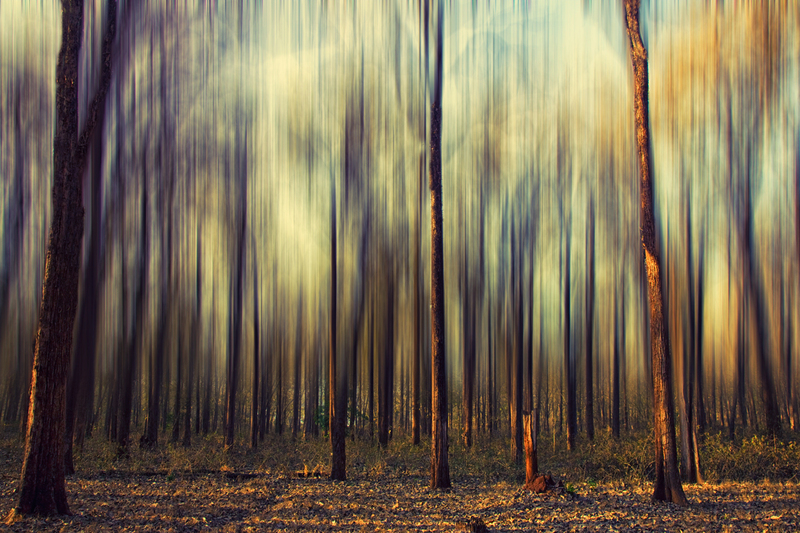 This is based on the firm belief that biodiversity lies the foundation for human health as it provides healthy ecosystems on which we depend for our food and fresh water or aids in regulating climate floods and disease. Biodiversity provides recreational benefits and offers aesthetic and spiritual enrichment. It further contributes to local livelihoods, to both traditional and modern medicines and to economic development. 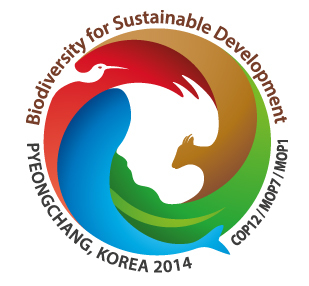 In light of this mandate, most of our partners recently attended the 12th meeting of the Conference of the Parties (COP-12) to the Convention on Biological Diversity (CBD) which took place from 6 – 17 October 2014 in Pyeongchang, Republic of Korea. In addition to events and meetings, the BaCH Initiative and its partners further facilitated four side events on issues around biodiversity and health. During this side event, the BaCH Initiative partners jointly with other organisations emphasised the that human disease and biodiversity loss share common drivers, providing opportunities for cross-sectoral collaboration for co-benefits for health and biodiversity. This becomes particularly clear in the context of overexploitation of wild fauna and flora which places pressure on wild populations and threatens the health-supporting ecosystem services they provide. Infectious diseases present a major direct threat to human health, with over one billion human cases globally each year. It is further increasingly recognized as a threat to other species (including but not limited to plants and terrestrial and marine animals). This has major implications for ecosystems as a whole, and can threaten food security and the provision of several ecosystem services. by SCBD, WHO, Bioversity International, Diversitas, Ecohealth Alliance, FIOCRUZ, Wildlife Conservation Society, Health & Ecosystems: Analysis Of Linkages (WCS-HEAL), UNU-IAS and TRAFFIC. As part of the Biodiversity and Community Health (BaCH) Initiative, UNU-IAS is contributing its long-standing experience in policy research, advocacy and capacity development for sustainable development. Highlighting the social, economic and environmental dimensions, UNU-IAS has been addressing key issues around biodiversity and is fostering the linkages to health through the BaCH Initiative. Here, questions and implications around the use of common resources are playing a significant role. The recent UNU Our World issue covers a brilliant overview called ‘Documenting the commons’. Learn more about UNU’s work on commons, a Japanese experience and read some thoughts on the future of commons here. The Biodiversity and Community Health (BaCH) Initiative’s partners UNU-IAS and FRLHT are facilitating a two-day multi-stakeholder forum on ways to link biodiversity, community health and sustainable livelihoods through Public Private Partnership (PPP) innovations. Thanks to the partnership with the Shuttleworth Foundation and its support for community health advocates, our partners will be discussing ways to create health commons which also aim to ensure biodiversity conservation and revitalising traditional health practices. The forum is locally hosted by FRLHT in Bangalore and brings together development partners, NGOs, CBOs, traders and suppliers as well as researchers.